The speckled Xweetok didn’t mean to explode the stupid little Bruce’s pencil case. But he’d insulted her glasses, and everyone seemed to forget that part. And then the pencil case exploded completely on its own! Picture the streets of Neopia Central without the embrace of everything warm and lively. Tendrils of the night wrap around every possible corner, swallowing the land, transforming it into something else entirely. This is the Neopian Central that not many Neopians will notice. The Best and Worst Dressed Gelerts in Neopia! The most loyal and friendliest creatures in all the lands, with pointy ears and large noses, who else could it be but the Gelert! 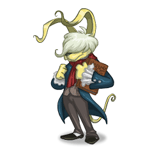 In honor of Gelert Day, I have for you Neopia’s best and worst dressed Gelerts! As strange as the rest of his journey had been thus far, this felt like real magic. The rest could have been pre-arranged, actors stationed at various points in the subterranean caverns for some unknowable reason, but this…this couldn’t have been done naturally. This was his wish come true. This was adventure.